Is Tumblr about to become inundated with YouTube stars? 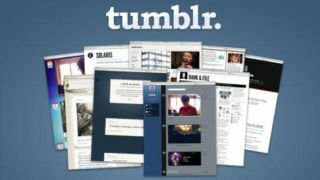 Tumblr users were worried when Yahoo bought their favorite social and blogging platform in 2013, and rightfully so - Yahoo has made its fair share of missteps when it comes to acquisitions. Anyone remember del.icio.us? Geocities? Flickr? Photobucket? Enough said, hopefully. Thankfully Yahoo has so far largely left Tumblr to its own machinations, but according to Business Insider that's about to change. The site's sources say that Yahoo President and CEO Marissa Mayer and her team of executives have a vision for Tumblr, and it involves turning it into YouTube. The most prominent change Yahoo's made to Tumblr so far was to add @mentions earlier this year. Not a big deal, right? But according to this report Yahoo wants to turn Tumblr into YouTube by courting YouTube creators like JC Caylen, JennXPenn, Teala Dunn, Ricky Dillon, Connor Franta, JackJack, and Bethany Mota. Earlier this year Re/code reported that Yahoo had already begun attempting to attract these and other YouTube stars by explaining that they can make more money with Yahoo than they do on the Google-owned video platform. What wasn't clear at the time is where Yahoo would put videos from these rising stars, but according to Business Insider's three separate sources the answer is Tumblr. However it's still unclear when this initiative might start taking shape, even though Yahoo and Tumblr are reportedly working together on it closely.